Time for walkies? 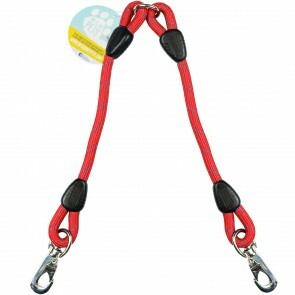 Choose a Rope Dog Lead that lasts with our great range of black, red and blue leads. Simple and easy to use, our leads clip straight onto your dog's collar ready to head out and about. Walking more than one dog? Check out our variety of Dog Lead Splitters - great for keeping a hand free for gates, treats and games of fetch while you take two dogs out with just one lead.